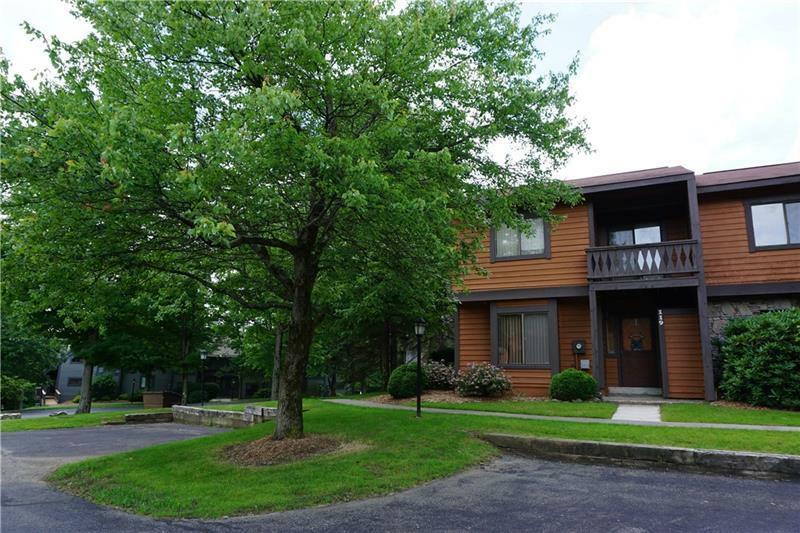 Lovely two story end unit townhome in the Swiss Mountain community at Seven Springs Mountain Resort. It has Cathedral Ceilings in the living room with plenty of windows and a floor to ceiling wood burning stone fireplace. An additional sunroom makes a cozy reading nook that leads to a large deck. The kitchen has recently been updated with new counter tops, stainless steel stove and microwave. A first floor master bedroom with attached bath is always a bonus! This home also has new wood flooring in entry, kitchen and all 3 baths as well as new carpet throughout. The second level has a spacious loft with a pull out sofa and another master bedroom with a deck. The third bedroom has bunk beds and there is a hall bath with large shower. This home is being sold fully furnished. The shuttle bus stop is only steps from the front door and the summer amenity area is just across the street.